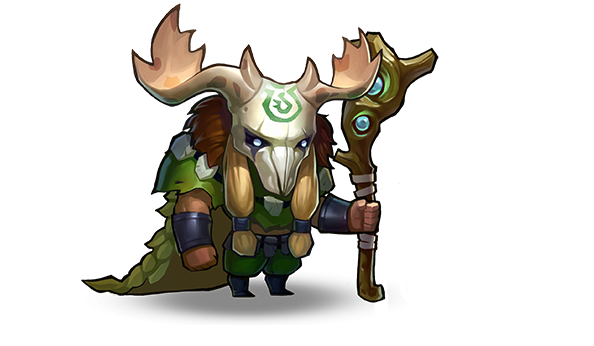 Dokras is a back line DPS, besides dealing magic damage, Dokras can also use control spells on enemies and summon creatures to fight by his side. Dokras summons a lightning storm which successively strikes each enemy in random order, dealing magic damage. 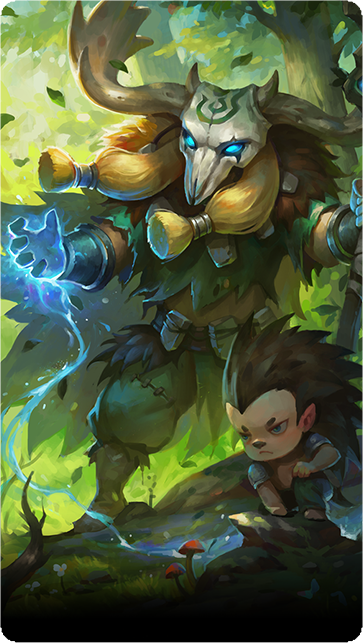 Dokras summons two tiny but fearsome hedgehog warriors, which possess strong Magic Armor. An enemy becomes targled in vines, unable to move, dodge, or use physical attacks. Dokras asks the spirits for protection, reducing the amount of Magic Damage he receives.